The state medical examiner's office has ruled a baby that died in December while in a foster home, died after being given an over the counter medication. 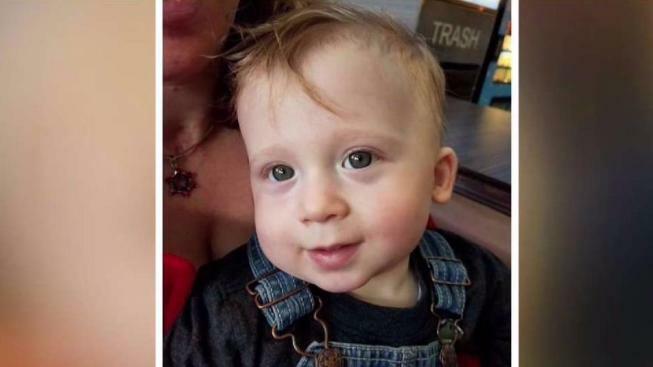 The Connecticut Medical Examiner’s Office released new details on the death of 15-month-old Michael Citron. In December 2016, Citron died in a foster home under the care of the Department of Children and Families (DCF). The new report shows that Citron died from acute chlorpheniramine intoxication administered by someone else. Chlorpeniramine is a specific type of cold and allergy medication that is available over the counter. This month, the Connecticut Office of the Child Advocate said in a report that chlorpheniramine can cause central nervous system excitation, hallucinations, seizures and cardiac dysrhythmias, or improper beating of the heart. Both the Bridgeport Police Department and the DCF have ongoing investigations into baby Citron's death. Bridgeport police did not respond to requests from NBC Connecticut regarding the newly released report. “A child's death is always tragic. The police are still investigating this matter as is the Department. Consequently, there is no definitive answer yet as to the manner of death or sufficient clarity as to whether the death was the result of a tragic accident or whether it is unexplained. As we continue to work together to get all the facts of this case, our hearts go out to the biological and foster families for the loss they have suffered,” DCF Commissioner Joette Katz said in a statement. "This is a catastrophic failure of the system that was supposed to provide for Michael Citron's safety and now he is dead,” family attorney Chris Kenworthy said. He is representing the biological mother as the death investigations are ongoing. "Our intention is to figure out what happened and to hold the agencies and individuals responsible accountable,” he said. Kenworthy said state agencies have kept the Citron family in the dark while waiting for the autopsy report and other records. “DCF should be an open book with the interest of preventing this from happening in the future,” Kenworthy said. DCF has long been criticized for the death of children in their care. A month before Citron’s death, politicians criticized DCF Commissioner Katz for her handling of numerous cases of child deaths.